Again, today I see an anti-cold calling piece. It pokes fun at someone who is successful at prospecting and had shared his own best practices–which are pretty sound–in an article. Then the piece goes on to provide “connection” strategies to get new business …posting on social media, going to networking events, taking existing customers out for coffee, giving referrals, sitting at your computer and writing things… because this will attract business TO you. Without having to proactively pick up the phone and talk to people who haven’t contacted you first. Solid suggestions? Oh, sure. Assuming you have existing customers, and no quota or personal need for actually bringing in new business, sooner rather than later. Social media and other “attraction” strategies are fine, but they can’t be the sole method for people whose existence relies on new business. That would be like saying that just taking the stairs up one floor to your office every day instead of the elevator will cause you to drop that extra 20 pounds you must lose. These are nice-to-do activities that will complement the more aggressive, results-getting direct actions that get results. In a salesperson’s case, that’s contacting people who would not have contacted you first. Of course, it needs to be done the right way, the Smart Calling way. I agree that “cold” calls are dumb and never should be placed. I have files of success stories who tell me that they have become wealthy by calling people who never would have contacted them first, nor would have been referred to them. So, fellow Smart Callers, I’d like to hear from you. Give your opinion on this article, and then please share below how you have had success prospecting for new business by being proactive. I think part of the problem is that sales trainers (and writers) tend to really confuse the situation (and their readers) by combining every possible type of sale into one “bucket.” They then proceed to lay out “rules” that are supposed to apply in all situations and markets. The real world doesn’t work that way. “Inbound” sales techniques may work fine for B2C transactional sales, especially those that are purchased over the Internet. In these cases, it might make sense to focus a lot of your time on social media and wait for the customers to come to you. But when it comes to high dollar, B2B consultative sales, these techniques just aren’t nearly as effective as simply picking up the phone and talking to your prospect. PUTPACS- Pick Up The Phone And Call Someone! Totally agree with you, Art. If you’re chartered with getting business for your company, you can’t just sit around waiting to be found online via your tweets and your blog posts. You need to target companies, do your research and initiate a relationship. Regarding the other article you mentioned .. I think the author is living in yesterday. So much of today’s business is done via phone. Yet he talks about visiting one customer a day, having coffee with one customer a day, attending one face-to-face networking event a day .. and so on. Thanks Jill. No one has a handle on what actually works today more than you… and I know you have written about this extensively as well. Art, I read the article too. Inbound marketing, social selling etc. are the hot topics today. I agree these are all necessary and effective, however if I wait for leads to come to me, I’ll go hungry. Most of the time I agree with the author and enjoy his material, but not so much on this topic. I only sell B2B, large complex deals generating new accounts, typically at the director level or above in a multi-state territory. My team does not manage a book of business so we can’t visit one customer a day or have coffee with one customer a day, because we don’t have any! We are prospectors. We find opportunities, advance & close them then move on. 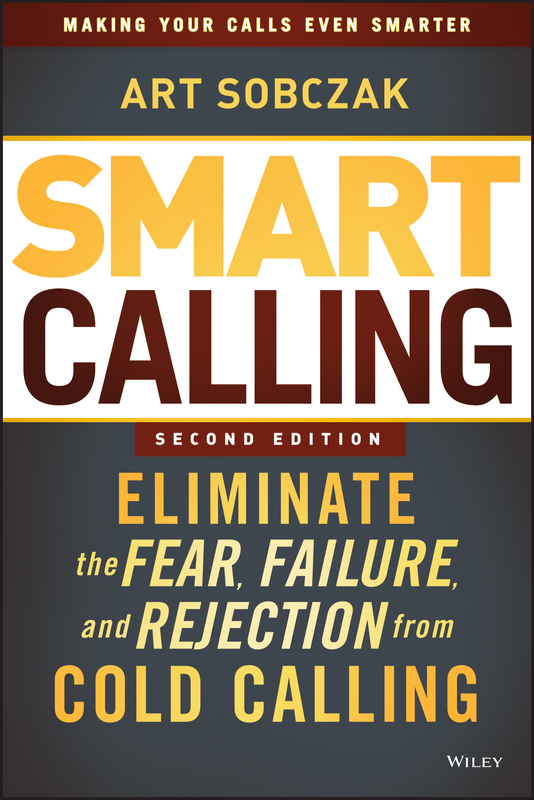 I’ve read your book SMART Calling and reference it almost daily. 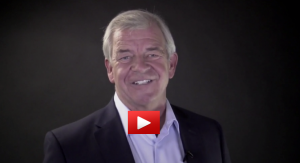 Cold calling without preparation is “dead” but SMART calling works! I believe those who are preaching against cold calling the most are the ones who simply hate to do it. Keep the good stuff coming! Thanks for the input, Craig. I’m sure there are lots of people who have been afraid of picking up the phone, and instead latched onto some social media inbound advice as their life raft, and wound up staring at the phone wondering why customers weren’t calling them. Glad you use Smart Calling. Keep up the successful prospecting! There are some good points in the article, and yes social media is good etc. but I found the tone quite aggressive. I really do not believe that there is a one-do-it-all-tool out there. I firmly believe that one must use a variety of tools well adapted to one’s personality and abilities. Some people can write and others can talk while others can get things done. Whether you write, call or visit prospective customers; it is still a cold call. 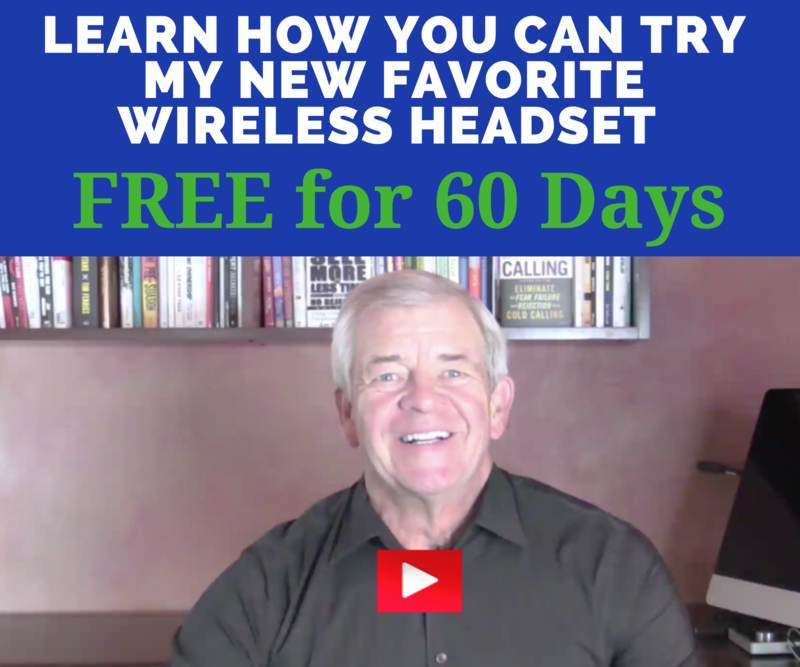 I have earned my living for 40+ years where cold calling was an important tool to generate new business. My success rate was normally as high as my level of preparation. I would always aim at making 3 phone calls a week plus 3 cold call visits a week. I always prepared for these calls by gathering info through my contacts, Industrial listings as well as professional associations. By the time I called or visited, that call was actually “lukewarm” rather than cold. Prospects are always impressed when they realize that you know something about their business and they are usually willing to listen. That’s the Smart, common sense, effective way to do it Camille. Isn’t it amazing that more salespeople don’t? Thanks for sharing. Signing my B2B clients without prospecting to 10-20 strangers? Hells yeah. I was in. I traded in my Sobczak/ Konrath/ Domanski method of business development, and put that other fella’s plan into action. And when I say put it into action, I mean followed it to a Tee; no skipped steps, no doing it my way. Jill if you’re still reading you know I did exactly what was said, because of the 6,000 emails you got when I was learning your way of selling. Crickets. Upfront I told myself to give it a full year to pay off. It will be one calendar year on October 1, and its been by far the worst year of my career. A total disaster. Sales are running at about an 80 percent decline, and it has been a huge blow to my financial situation. In retrospect I think the biggest difference is that the other guy is selling a service that can be resold to the same customers over and over again. How many sales conferences can you Putin in a year? 100? Maybe 15o? So all you need is a base of a few hundred clients that love your service, and to make sure that they keep inviting you back. Me, I sell a product that can be sold to a business one time- than I gotta replace that lead. So art, Jill, Jim; welcome a lost sheep back to the fold. Be nice to make a smart call to a business after they’ve had a trigger event again. I gotta make some sales. Welcome back to the trenches Brian! Now just find an assistant to do all of the other marketing stuff for you while you sell and you will be unstoppable! Great story, thanks. I think like most things in life, it is “horses for courses” What works for one company or one industry or even one salesperson. may not work for another. I am ashamed to admit that I cannot recall making one cold call in a forty year sales career, and for example, all of my current clients arrived via referral. However, I do fervently believe that generating new opportunities via the phone will always be a very viable option for many companies. 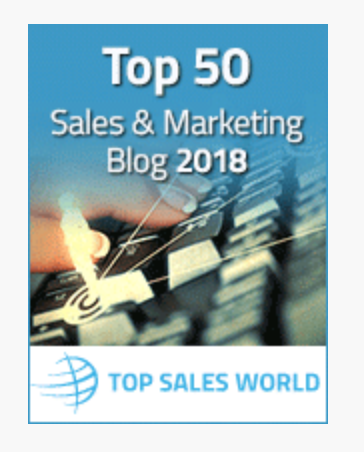 BTW: Top Sales World thanks you for the incremental traffic generated by this post! Never had to prospect? Wow! Thanks for sharing Jonathan, and you’re welcome on the traffic. For anyone not already familiar, Jonathan runs http://topsalesworld.com/, a superb sales resource site with hundreds, maybe thousands of articles, audios, videos, white papers, and more, and it’s constantly being added to. Great stuff. Martin, congrats, reaching that level with a blog is a goal that most bloggers would like to attain. Would like to get there myself someday 😉 Attraction marketing is phenomenal, just about everyone would like to have people line up wanting to do business with us. And you’re right, if someone doesn’t have that now, if they have the resources and know-how, they should do that to complement their proactive calling. They are not mutually exclusive, as Trish brilliantly states below. I have said it before and I will say it again. It is the “cold” that is dead not the calling. Inbound and outbound have gotten married and for those who did not receive any invitation to the wedding – wake up and figure it out! Trish, how can you say things so brilliantly with so few words? You have two Tweets right there. Art, I find social media a waste of time other than maybe researching a buyer on Linkedin before an appointment. Otherwise I come in every morning and pick up the phone and just call cold which to me is no biggie. I simply tell them what I do and ask if I can have a few minutes of their time. If they say no, I ask when they might be looking into what I sell and if it would be ok if I call them then. I get appointments everyday doing this and close 50% of my appointments. Why does everyone insist on spending hrs on social media when sales isn’t really all that complicated especially if people follow the tips in your books!! Mike, hmmm, I guess calling does work then? 😉 Agreed, it isn’t that complicated, WHEN sales pros do the right things. The owner of a small business or the production supervisor does not have time to read a blog or chit chat over coffee about nothing. I know more than one owner of a company who pays people to read his e-mail. Social media is fine. It’s another tool to use but ya gotta get pick up the phone. Why do I picture a guy in his PJ’s sittin’ on his couch blogging about sales? 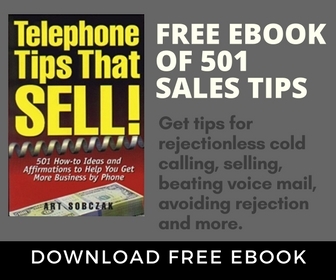 One of the best, most insightful business writers I follow is Anthony Iannarino, who is a true believer in Cold Calling. I call it Cold, Calculated Calling. Thanks for your post. Anthony is great. With the amount of top-notch material he consistently puts out he makes the rest us of look like hacks. Love his stuff too. Thanks for sharing. I have a few times cold called prospects that I did not know that resulted in one $100K deal and a few smaller deals($10K+). Cold calling can work but it does take a lot of calls. I agree that warmer calls, referrals, getting more business from existing customers are the best ways to go. Social media and email can help you out also. Thanks for the tips. They serve as a constant reminder that doing the basics is the way to succeed. I cold call all the time. I am living proof that it works now as well as it ever has. Do I do it the same way as I did 20 years ago? No. I have followed your tips for years and I am thankful that I have. You mean you don’t use 3/5 cards, call from the Yellow Pages, and do research at the library? Seriously, it IS harder than ever to actually get through and talk to prospects. That’s why WE need to be better, and Smarter. The good news is we have more information available to us than ever–increasing by the second–that we can access it with a few keystrokes, to make our message more targeted, relevant, value-filled, and interesting. Coupled with Social Engineering http://smartcalling.com/smarten-up-your-prospecting-calls-with-social-engineering/ there is no excuse for not placing Smart Calls. Thanks for sharing Marc, and for following all these years. Hey – it’s Gitomer. That’s his thing. Say something controversial with a grain of truth in it. His fans who agree love him more for it. I got rather annoyed a while back when he spouted some nonsense about email marketing (one of the few subjects I actually know about) that contradicted most hard data. Same thing really. But I reckon we shouldn’t let the fact that he’s not 100% right flip us the other way. There are some sensible points in there. Building up a presence in your market and all that good stuff does work too. Just like cold calling, it works better sometimes than others. So let’s not let his over-polarisation blind us to the fact that we always need to be looking at alternative approaches, different ways of doing things. Great points Ian, agreed, the best sales pros are always looking for ideas to improve and give them an edge. There is more good info available today than ever… including at your site. Thanks for sharing!